I hope you’re all doing well, and are trying to stay cool during this heat wave. It’s come WAY to early for my liking, but I guess Mother Nature didn’t ask me. So, cheers to surviving it in style, right?! Below are a few of my “momiform” favorites/staples for this time of year. I may have traded my high heels (except for date nights) in for flat sandals or sneakers, and every day showers for dry shampoo, but that doesn’t mean we can’t look good while raising our little ones. Everything here is machine washable for anything that may spill on you, etc. This top is really pretty, and it’s lightweight. 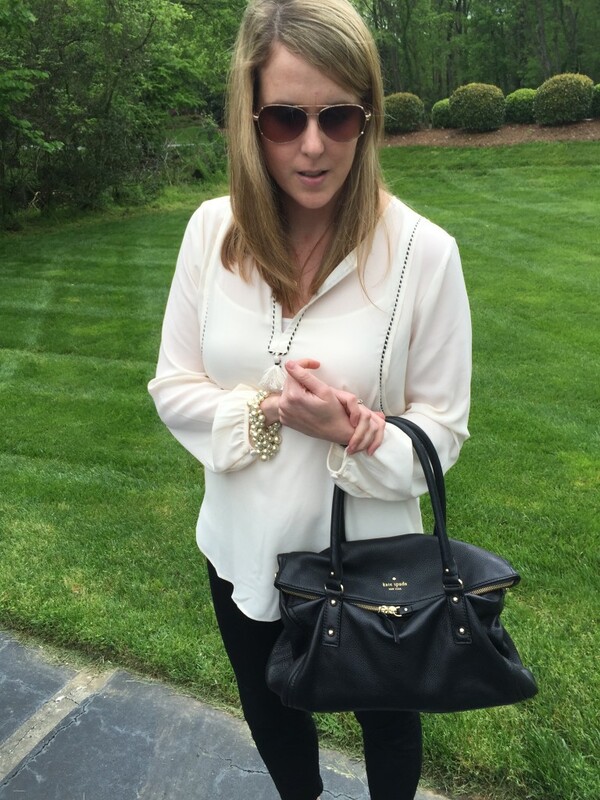 I love a good blouse year round, but especially in the Summer. I like the 3/4 sleeve length too. It would be perfect with a pair of bright shorts and flats. It would also look great with a pair of crisp, white jeans. 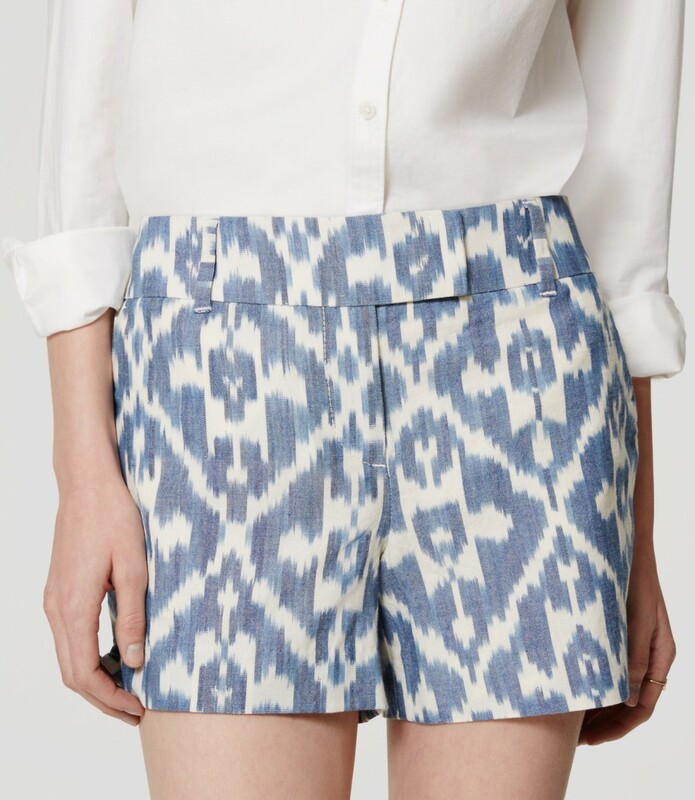 I love this ikat print. 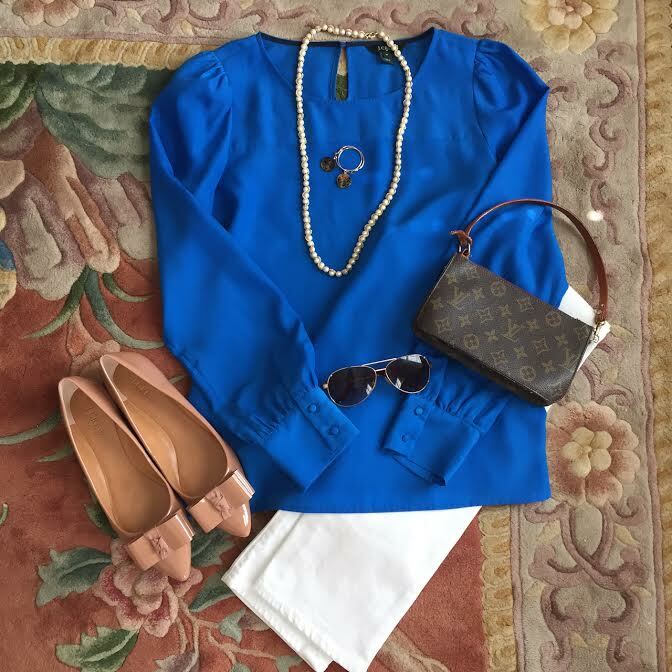 It’s classic and goes with pretty much any Summer blouse in my closet. I really like the Riviera shorts because of the 4″ inch length. Plus, I’m 5/10 and refuse to wear anything shorter with kids. This style comes in so many fun prints and patterns every year. I would be embarrassed to tell you the number of pairs I already own. They’re that good. These jeans are so chic. I love the crop look for Summer. They pair really well with flats or even a kitten heel. These are a “must have” in my closet. This top is much cuter in person. I tried it on last weekend, and took it home with me. It is slightly longer in the back which is nice. No crop tops with kids. This is perfect with shorts, white jeans, and the list goes on. These have adorable and affordable written all over them. I always invest in at least 2 new pairs of flat sandals from Target every Summer. They look cute, but if they get worn out by the end of the season, I don’t feel badly about tossing them out. These would be easy to run after a toddler on the playground in, if needed. They also just so happen to look like a Kate Spade pair. Well done, Target, well done. These are so fun, affordable and flat. They come in a million different colors, and you can’t ruin them in the backyard, on the playground or running errands. The St. Anne tote is perfect year round. I have two now. One is a baby bag, and one standard St. Anne tote. They’re perfect with kids, as I recently had a Chick fil a milkshake split on mine by accident, and it was completely wiped off in minutes, and good as new again. 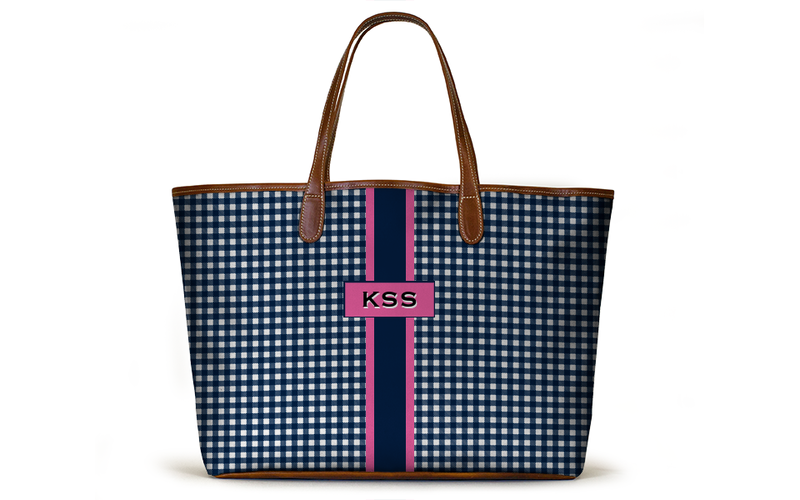 They are completely chic, hold everything you need, clean off easily, and you can monogram it. What gets better than that? My designer handbags/totes are in the closet unless it’s a date night/girls night out for now. 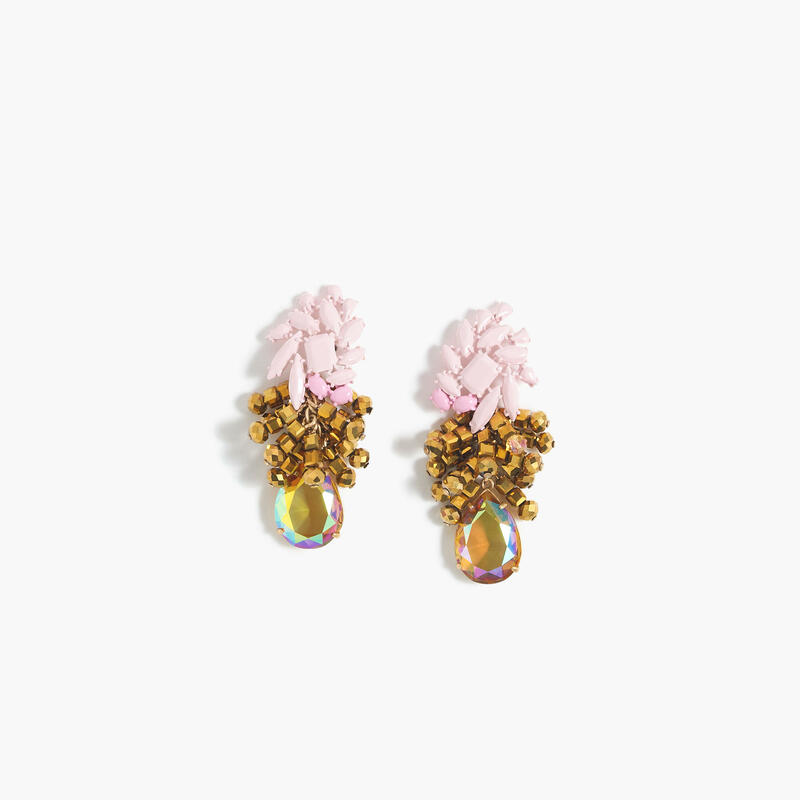 I love a great pair of statement earrings; however when you’re toting the kiddos around with a random tantrum of tugging, you want to have a great pair of classic studs in your ears, trust me. Again, the statement earrings are still around, but are reserved for date nights or outings if Daddy is around to help. 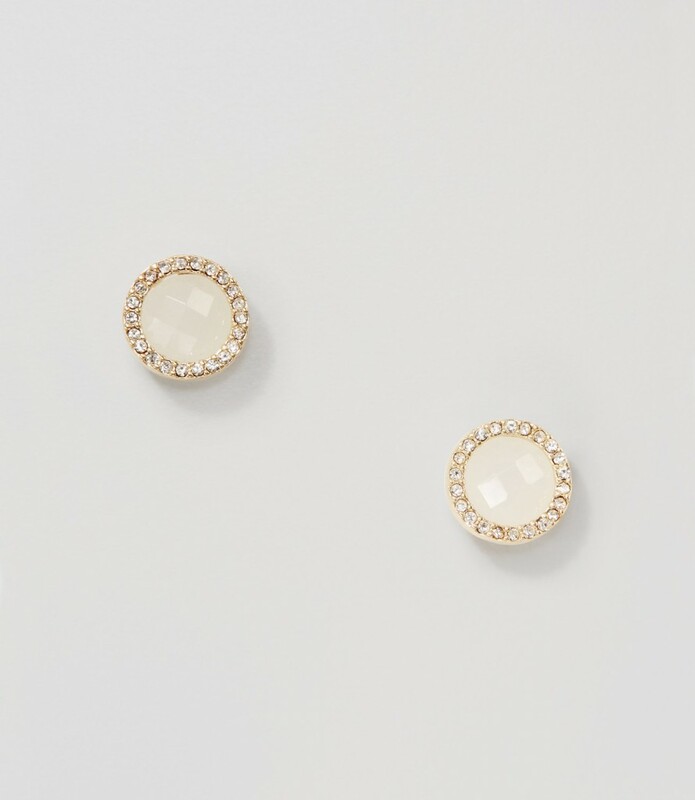 My go-to is a perfect pair of pearl earrings, but it’s nice to switch it up with a pretty gemstone pair every now and then. Happy Tuesday! I hope everyone enjoyed their last weekend of Summer. I’m happy to report that I am currently blogging in our new seafoam/mint master bedroom! I couldn’t bring myself to move my computer up to my office today. My husband did a fantastic job painting this weekend, and we are pleased as punch with the results! This blouse is classic. I know it would get a lot of wear this Fall. I love the fringe trim. Such a new take on a classic cardigan. 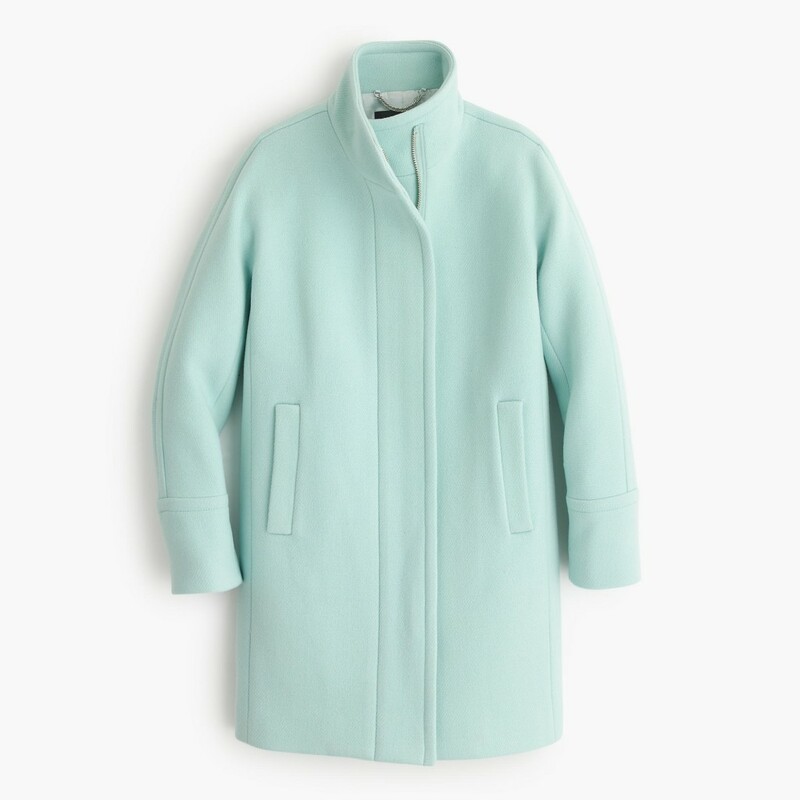 I’m pretty sure I’m asking Santa for this coat this year! These are adorable. They come in 3 colors. I’m in love with this strawberry color! I love the color mix here. It feels very fresh for Fall. What’s on your “wish list” for Fall? 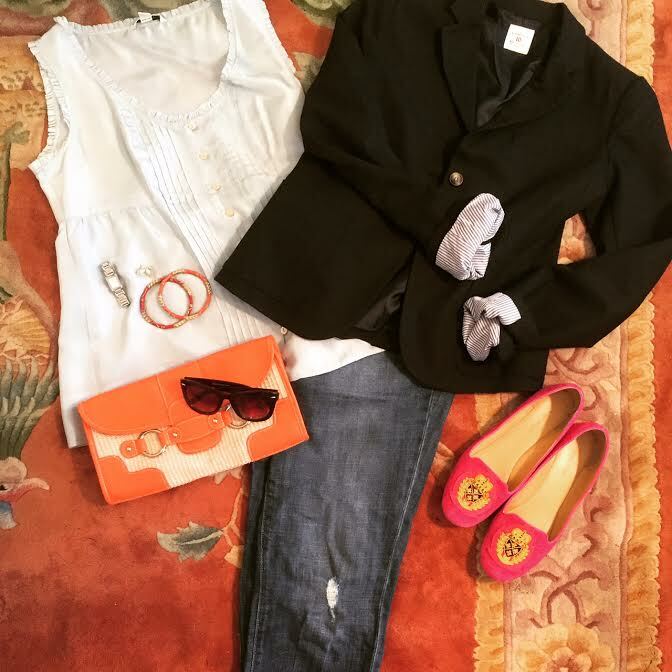 Anything from J.Crew? A few years ago, I discovered “Southern Frock.” I have several tops of hers, and I just love them. They fit my frame really well (I’m 5’10), and give me that bright, preppy patterned top that I crave to wear in the Summer. I think one of my favorite outfits to wear in the Summer is a pair of crisp, white jeans and a bright, happy top. Who’s with me? 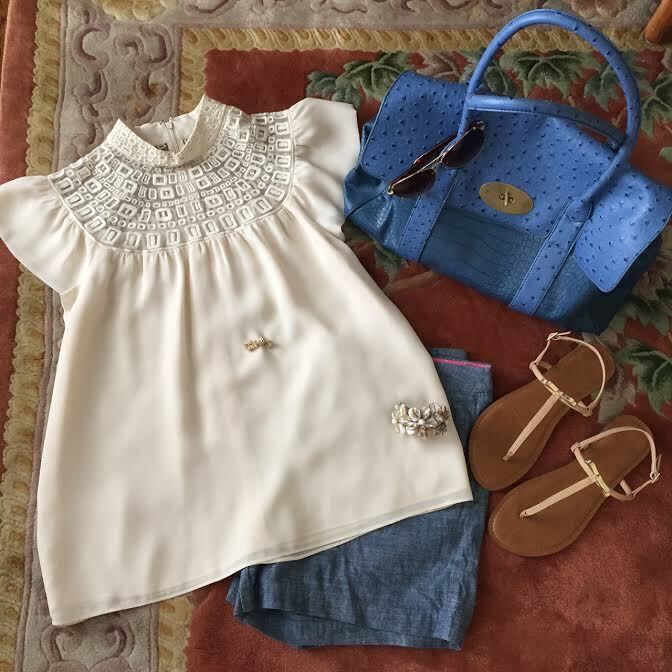 Southern Frock in my opinion is just a pretty as Lilly Pulitzer, but is more budget friendly, especially when you buy some of her pieces on sale. Below are my current favorites from the Southern Frock line right now. I love everything about this blouse. The ruffle collar, the navy & pink print, the gold buttons, an the list goes on. I would wear this pretty blouse year round. This is another pretty top. The pattern is really cute, and the detail is on point. This dress is gorgeous, and perfect for the Summer. Love the pink, but the blue and white seersucker would be cute, too. Did I mention that these are machine washable? That’s right, no dry cleaning. A lot of my tops are dry clean only from my working days. 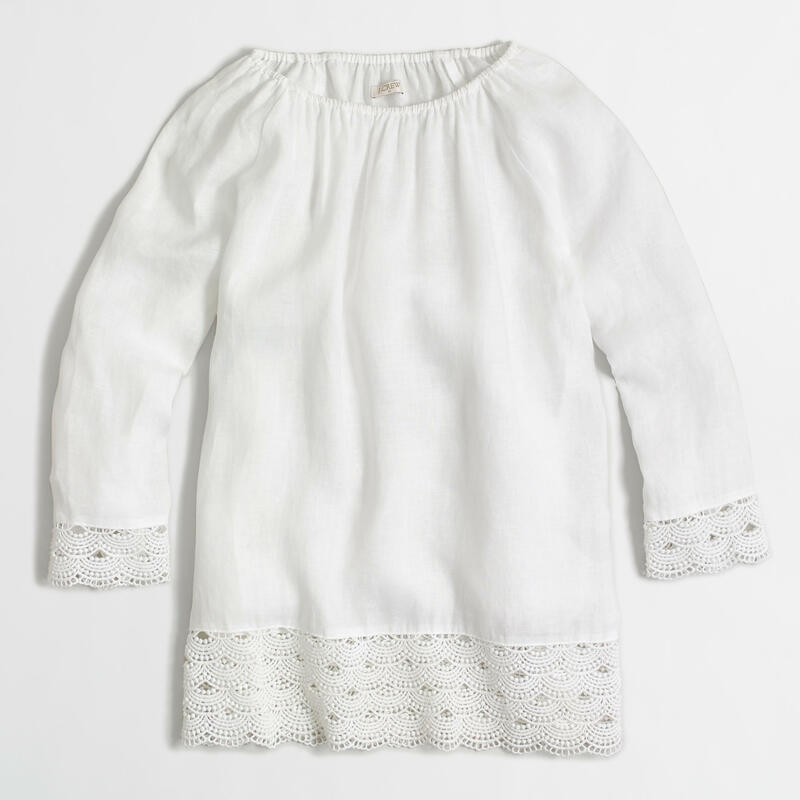 And, if you have a little one, machine washable just makes the most sense, at least right now – this line is both chic and machine washable. 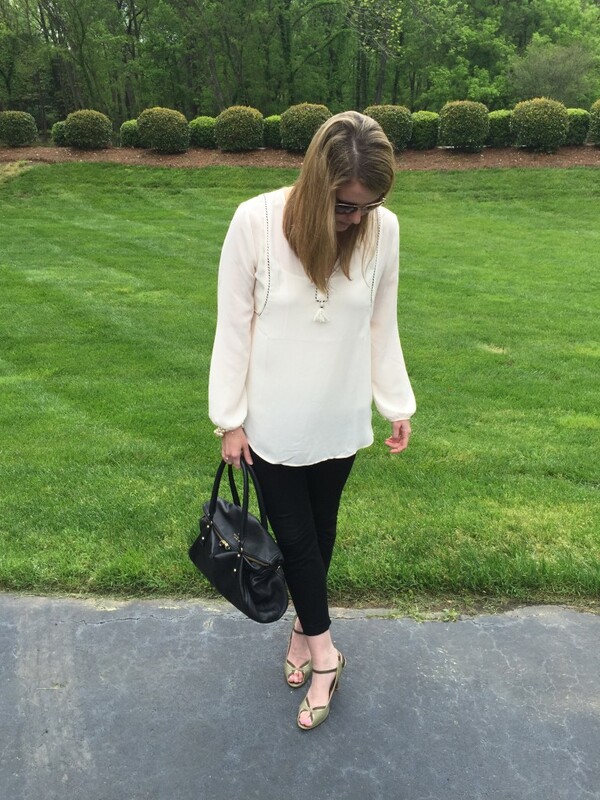 If there are two things that I love to wear together, it’s a pair of great skinny pants and a pretty blouse. 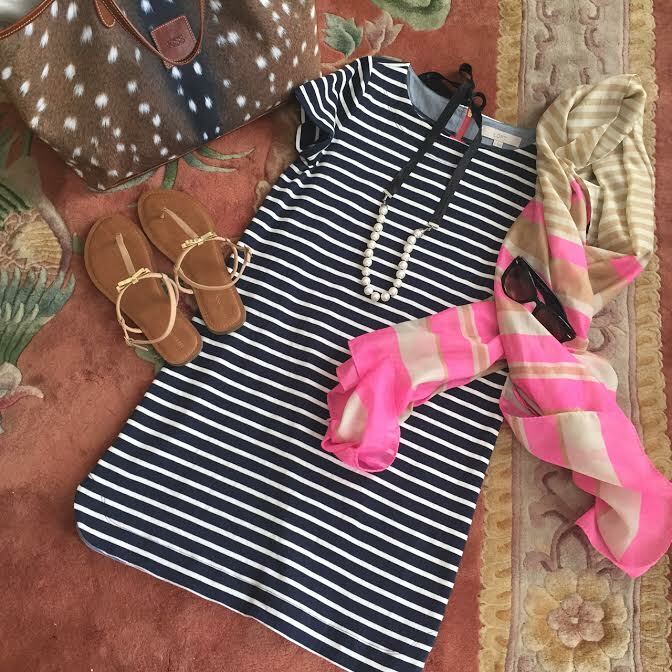 This combination is a win win for work, date night or even every day as a Mom. I never tire of this look, because it is always in style and it’s very flattering. 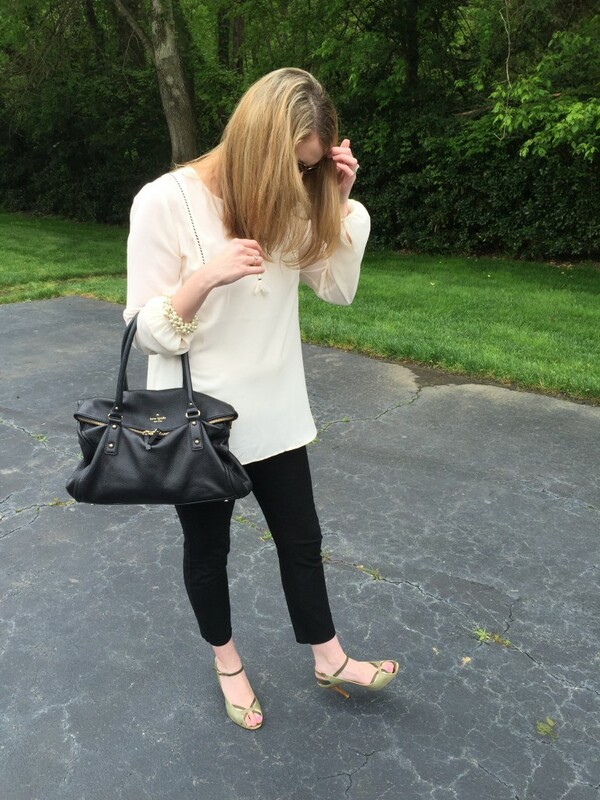 I snagged the blouse that I’m wearing for $17.50 during one of J.Crew’s major sales. I love it so much that I bought it in black, too. 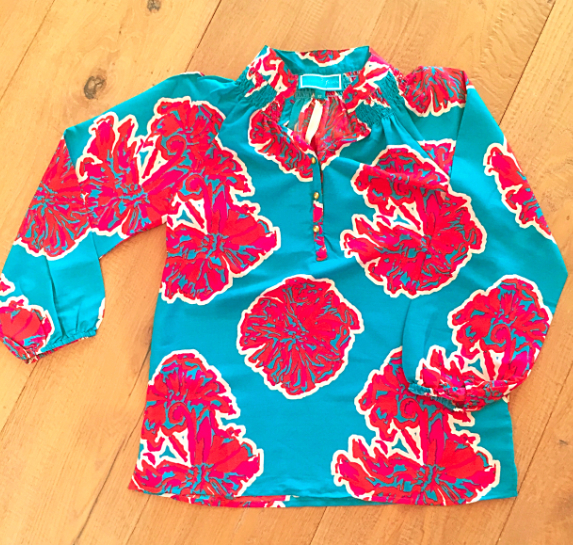 Here’s a similar blouse that’s perfect for Spring. Blouses like these can be dressed up with skinny pants, but they’re also great paired with jeans or skirts. Remember to always wear skinny pants with a looser fitting top to balance your look. For any expectant Moms out there, it’s a great style to wear, too. I wore this combination a lot while I was expecting. 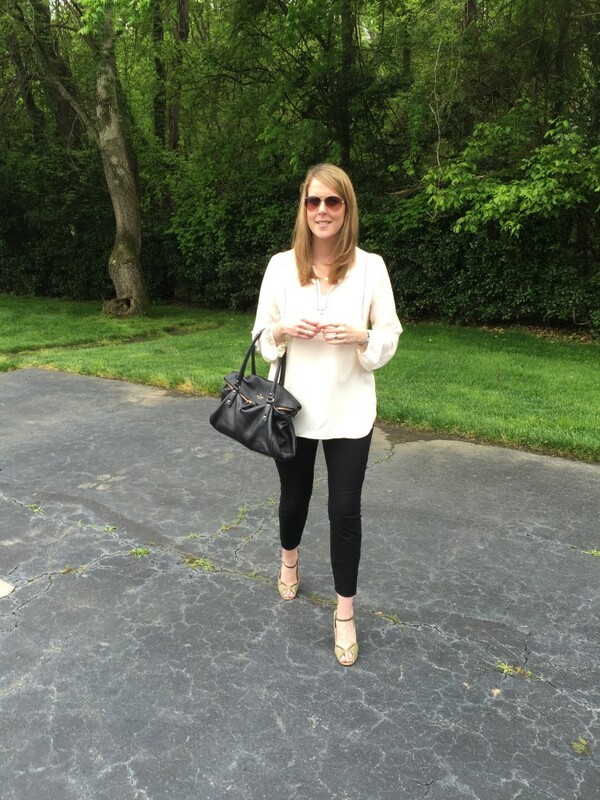 These J.Crew skinny pants are worth every penny. I honestly don’t know how I ever lived without them. I actually own them in black, burgundy and navy. They are that good my friends. So, if you see them buy them in every color (especially if they’re on sale -and they are right now!). The best part is that you can wear them year round. Just switch out your Fall/Winter boots for cute sandals, and you’re set for Spring/Summer. 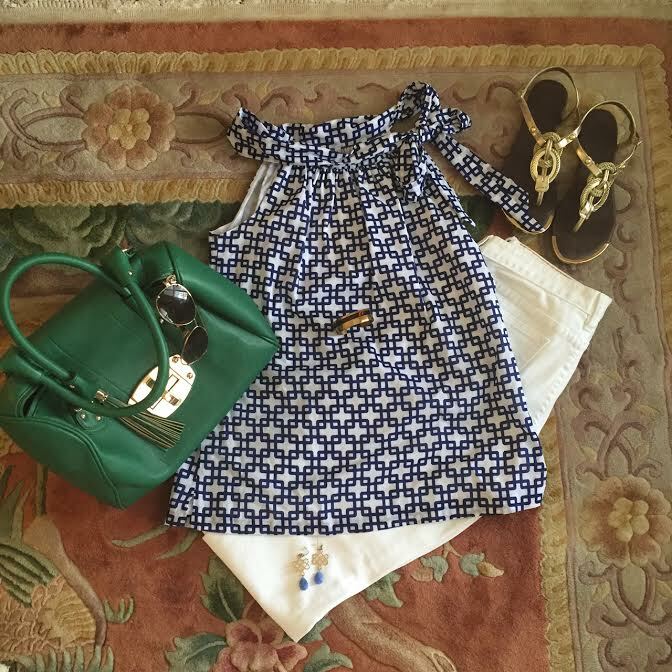 I paired my favorite green sandals (old, but similar here) to add a pop of color. You can always add color to a classic combo like this through accessories like these, this, and these. That’s the best part of putting on a black/cream outfit like this – the endless options to wear great accessories to help change up your look. How many times have you woken up in the morning, walked into your closet and said “I have nothing to wear,” even though your closet is full of wonderful clothes to wear? This happens to me so many times that I would be embarrassed to put a real number on it. Just ask my husband, he’s a numbers guy, so he may actually have the real number (And, Honey, I don’t want to know). Of course, that statement is soon followed by “I need to go shopping asap!” He just patiently listens until my little “fashion fit” is over. We always laugh about it after the fact, but it’s “real” to me in the moment. To a girl who LOVES fashion, it’s a crisis, even though deep down I know it’s not. I love my clothes, I truly do, but let’s face it, we all get bored with them sometimes. And, sometimes, all we need is to do is to plan a little bit better. And, especially on those mornings where you don’t want to/have time to think about putting your look together. 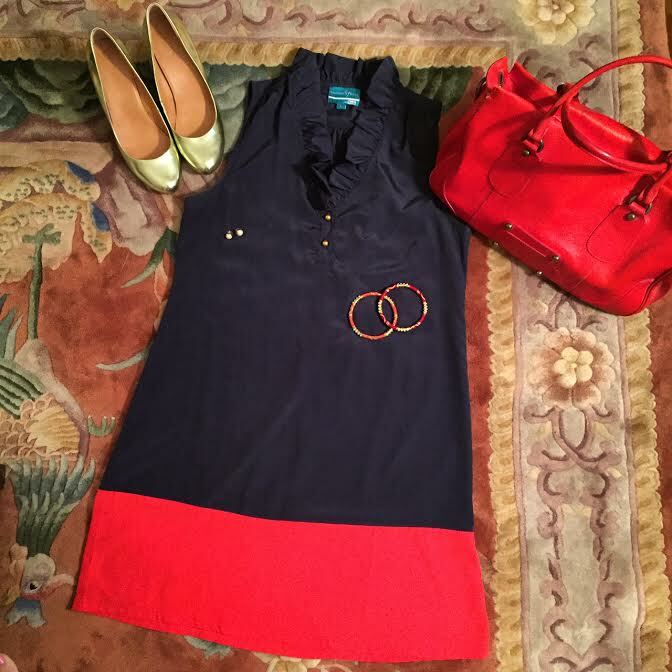 So, if you follow me on instagram, you will know that I have been putting together outfits. It’s called “Plan Your Look” with Fancy Says Have A Ball. It’s a simple way to get inspired with clothes you already have in your closet. 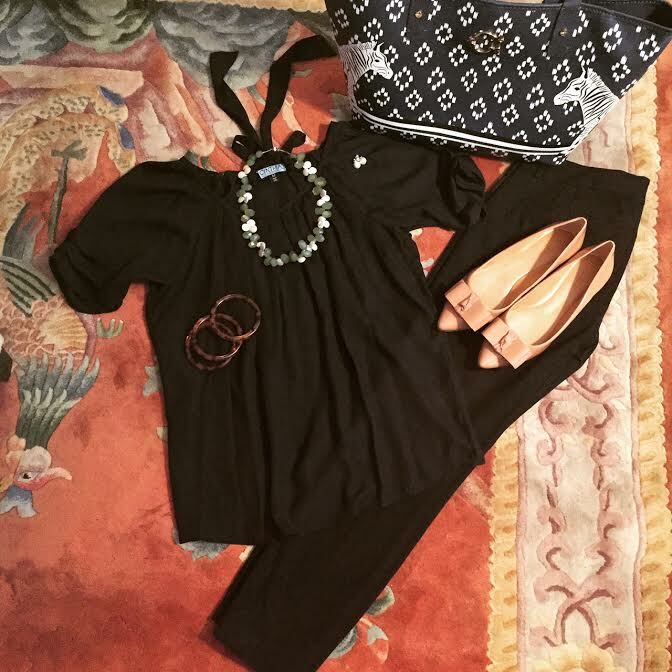 Just call me your “online stylist!” I love putting “looks” together, and even more so, if I am helping you, too. You’ll get a preview of each week’s outfits, if you follow me on instagram. Some of the pieces I have owned for many years, and some I have just added to my closet. It’s fun to mix the old with the new, and it’s even better when it something all new! 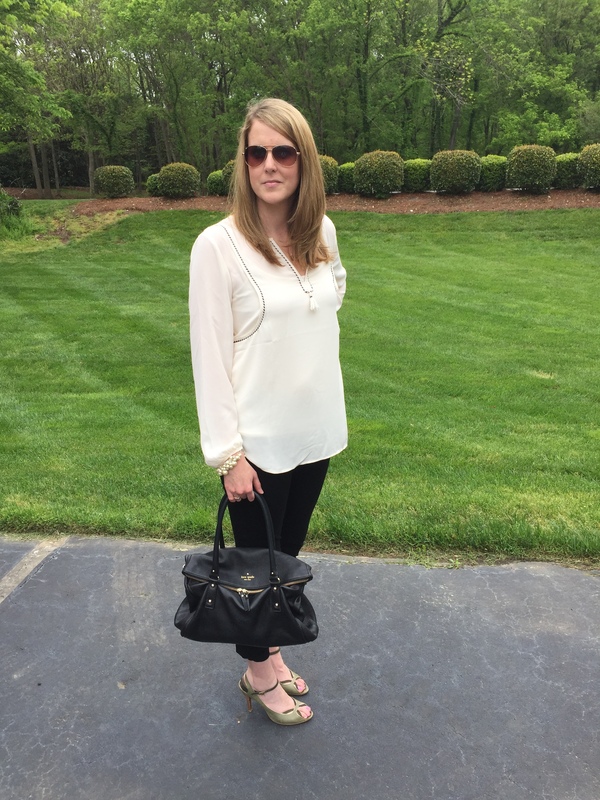 Every week, I plan to post several of my “plan your looks” on the blog. It might help you on those days where you want to look your best, but can’t see past getting your first cup of coffee in hand, and your long to-do list. I plan to include outfits for any occasion you may have to attend. Whether it’s for work, church, a play date, a girls night out, or a date night. My hope is that you can find inspiration to go back and “shop” in your closet, and get ready with confidence! This look would be great for a date night, church, or a night out with your girls! You could add a blazer to it, and a pair of flats to make it a work look. This would be great for work, church, or a date night. Change out the tote for a clutch at night. An all black outfit is so chic, no matter what the occasion. If your office has “casual” Fridays, this would be cute for work. It’s also a great look for the weekend, running errands, brunch, play dates or a movie date night. This look is perfect for work, a date night or girls night out. 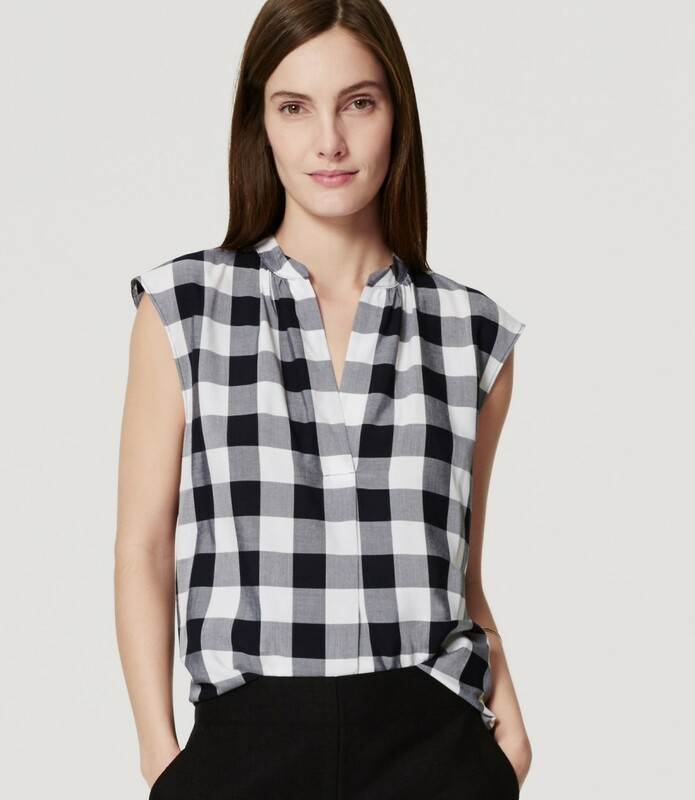 Another great look for work (you could add a cardigan or blazer), a cookout, a date night, brunch or even a play date. Perfect for running errands, a play date or brunch. A dress is so simple to dress up or down. 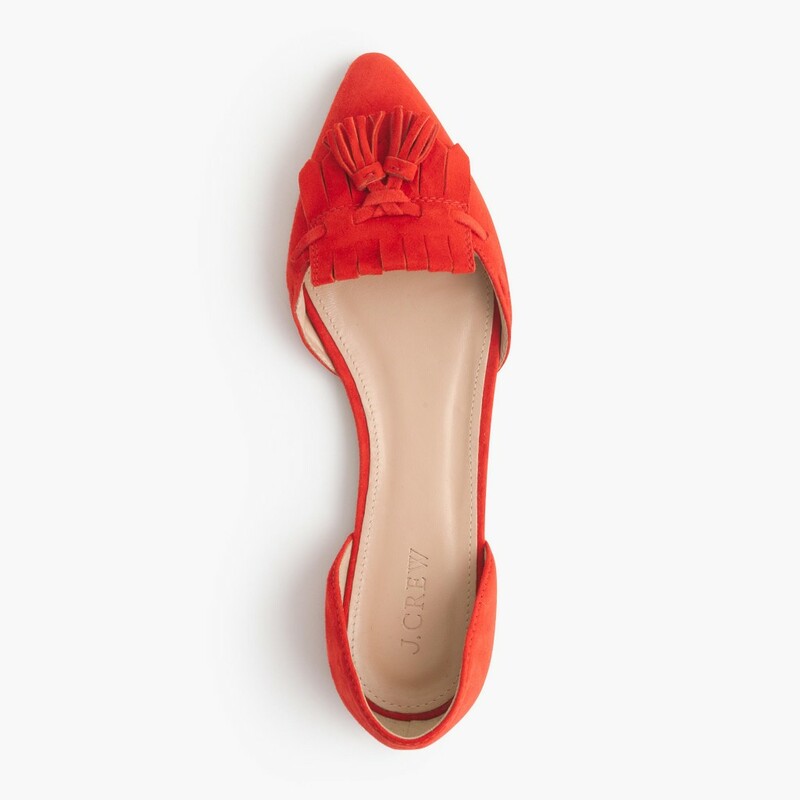 The flats make it perfect for work or a play date. Add heels, and it’s a casual date night look.